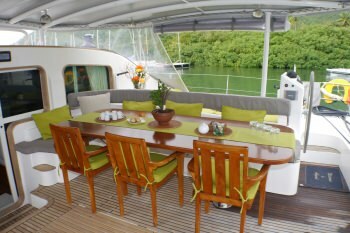 Accommodations: MARMOT can accommodate 8 guests in 4 cabins. 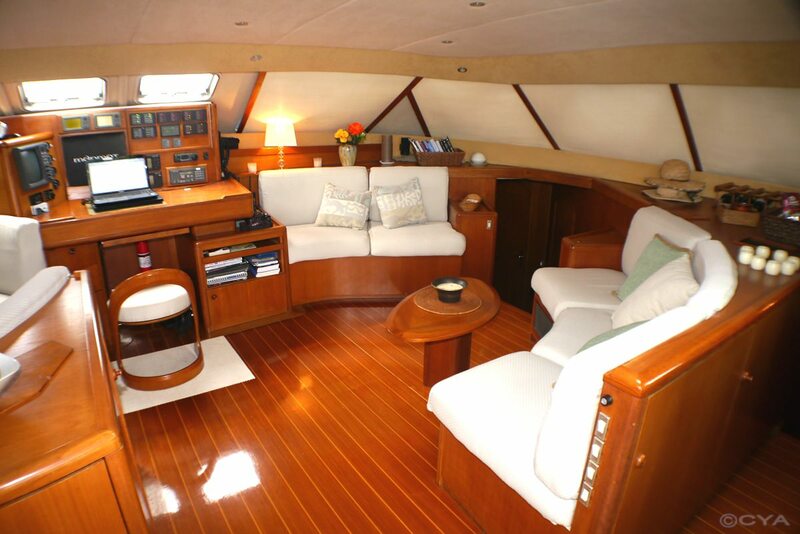 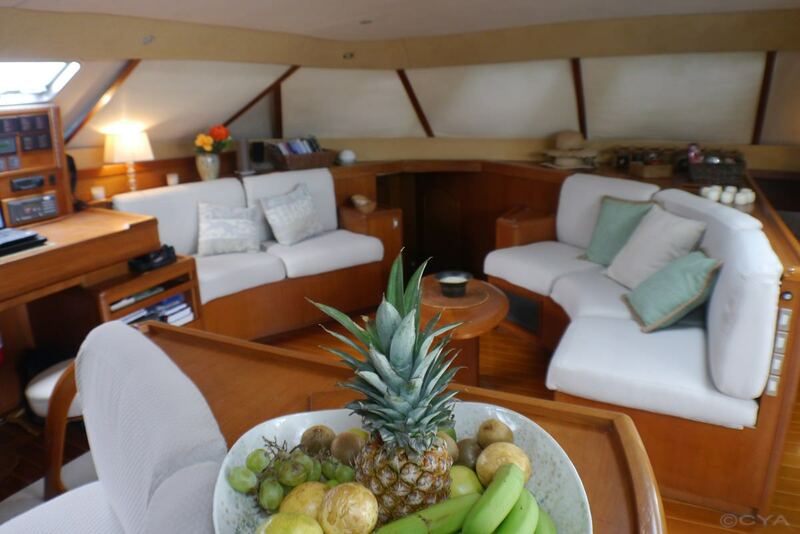 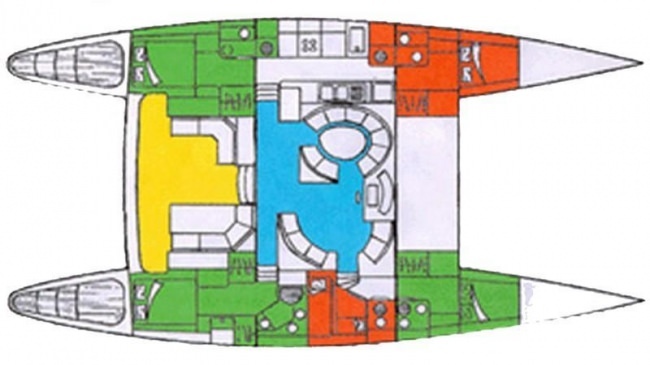 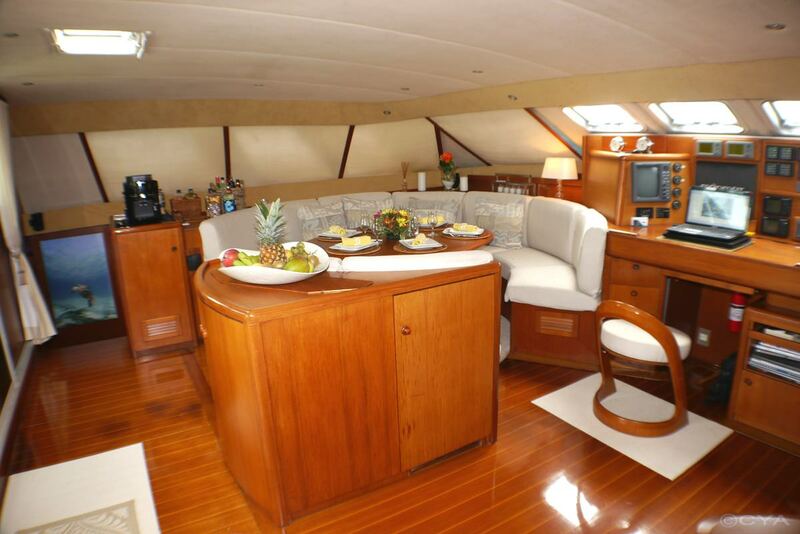 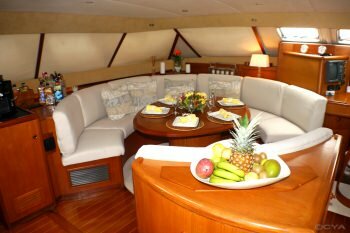 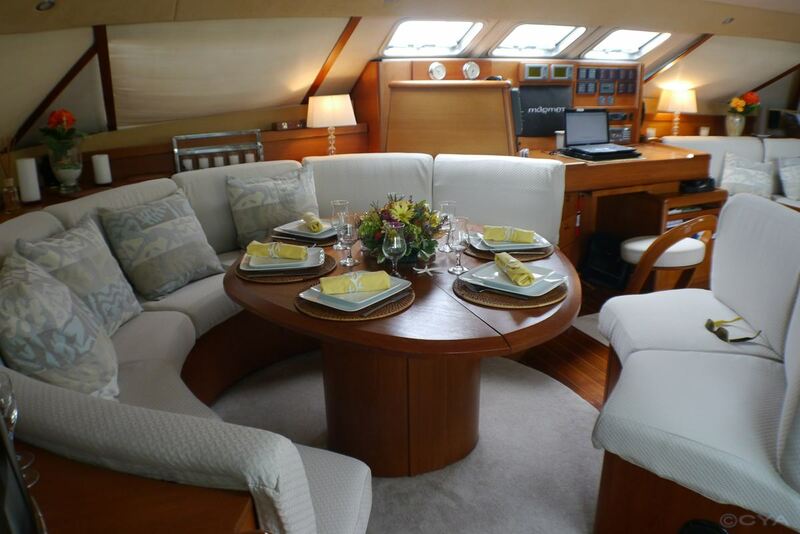 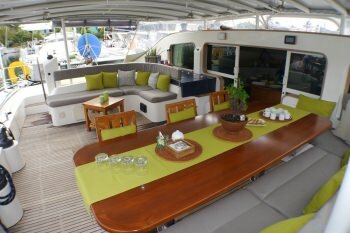 The Master cabin (starboard aft) has a queen size bed, separate shower, toilet and double basin sinks. 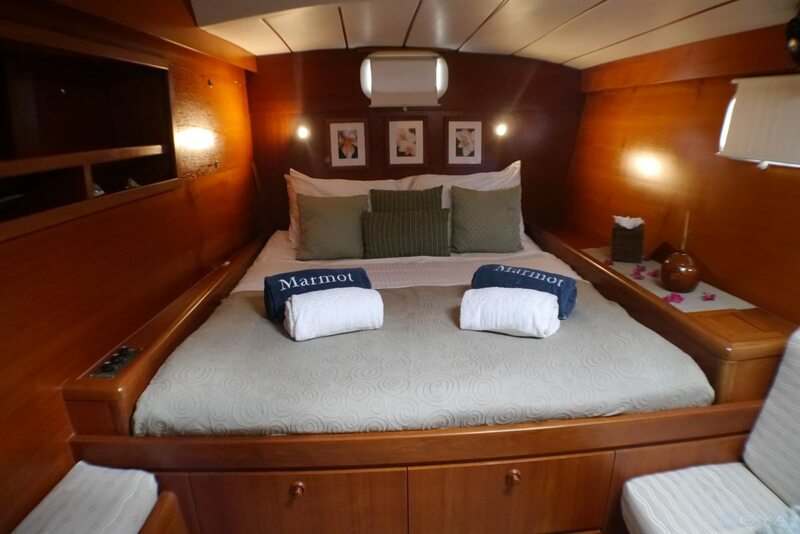 One guest cabin (port aft) has queen bed, separate shower and toilet. 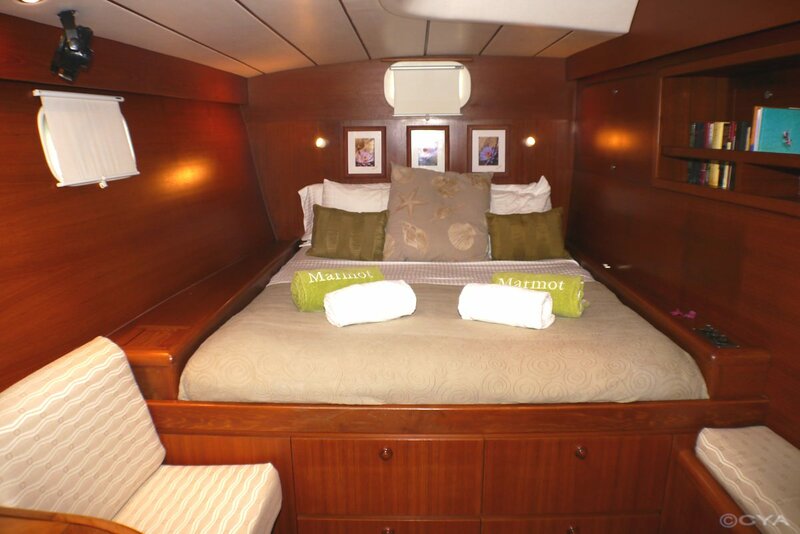 1 guest cabin (starboard forward) has double bed and wet head (shower with toilet). 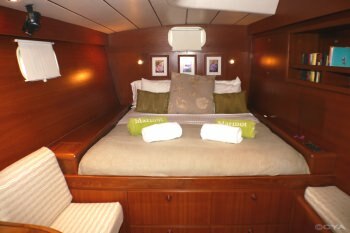 1 guest cabin mid-ship has bunk beds with it's own wet head. These 2 cabins share a hallway and make a perfect 'kids quarters' separate from the other cabins. 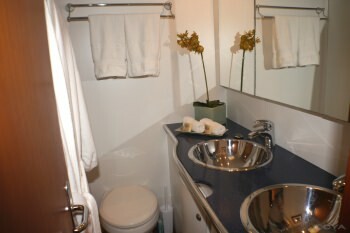 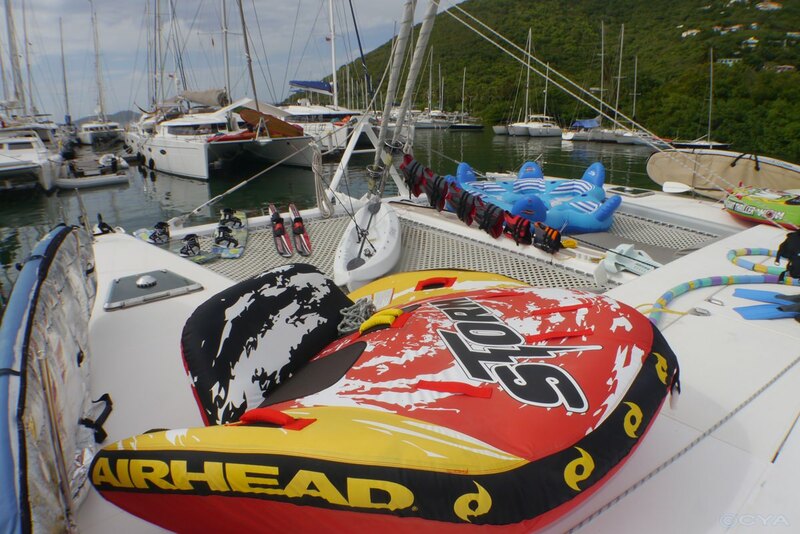 Crew is in forward aft cabin off the galley with their own head and shower. 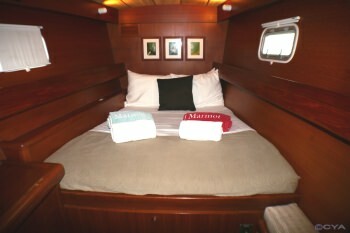 Each cabin has it's own air conditioner with controls.